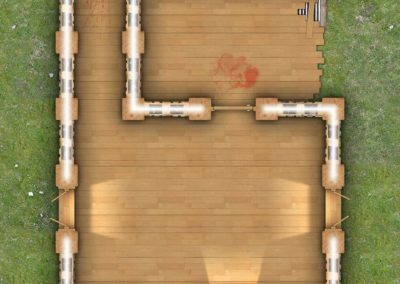 Polished wooden floorboards and wooden wall panels give this map tiles set a unique theme. 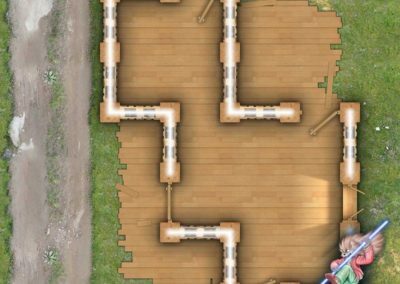 Designed to enable the building of feature wooden building that can be slotted onto maps constructed using the other map tiles sets from Studio WyldFurr. How to use our Map Tiles? Our map tiles have been designed to act as a ready-made collection of art assets that can be assembled into the form of a dungeon by simply assembling the pieces like cartography Lego blocks. To do this all you need is one of our Map Tiles Packs, a graphics editing program such as MapForge, Photoshop, Gimp, or another Graphics Editing application that will permit you to use pre-created art assets. 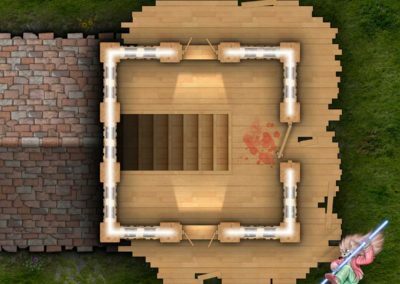 If you are not sure about what to do, we have a tutorial about building your own maps with GIMP, or Photoshop. 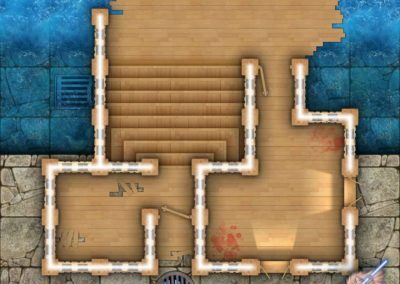 Want to have a look at every map tile that is inside the Woodwork Map Tiles pack before committing to buying the pack? 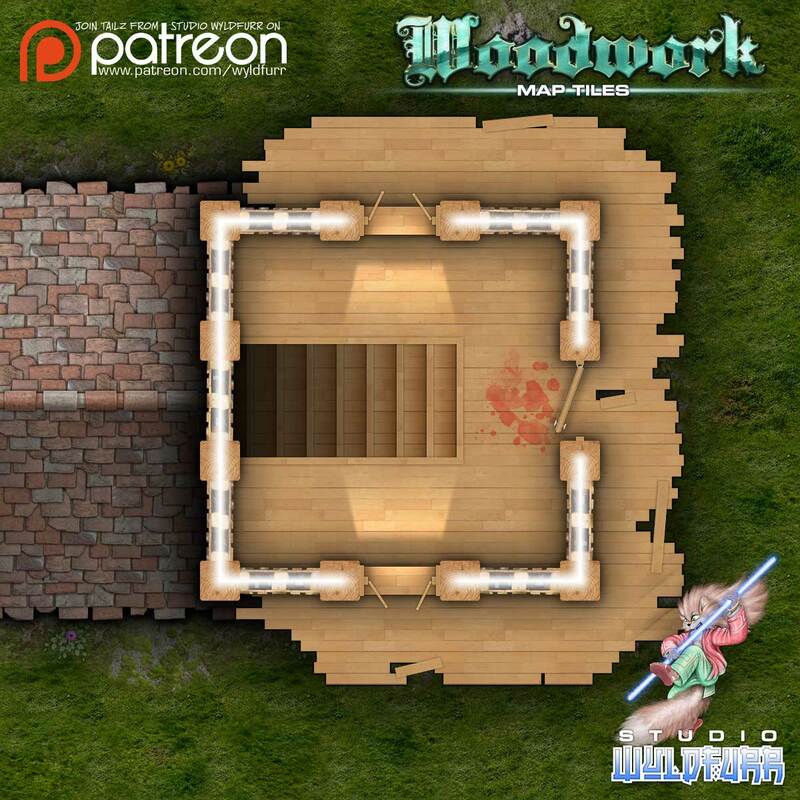 We have assembled a Sample Guide PDF that displays every map tile that is included within the Woodwork package. In this map tiles pack we have employed far more PNG images than we have in previous map tile packs. We have done this because PNG images let us employ transparency as an integral part of the map tile design. 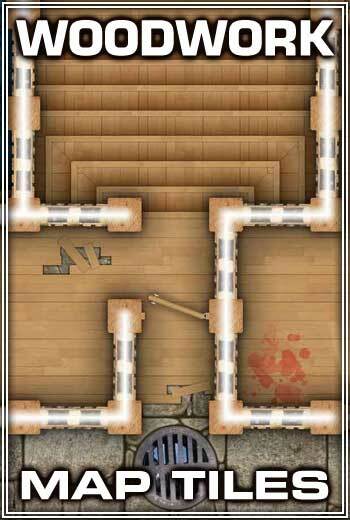 For example in previous sets the walls and floors were combined, now the walls are separated from the floor in their own image files. 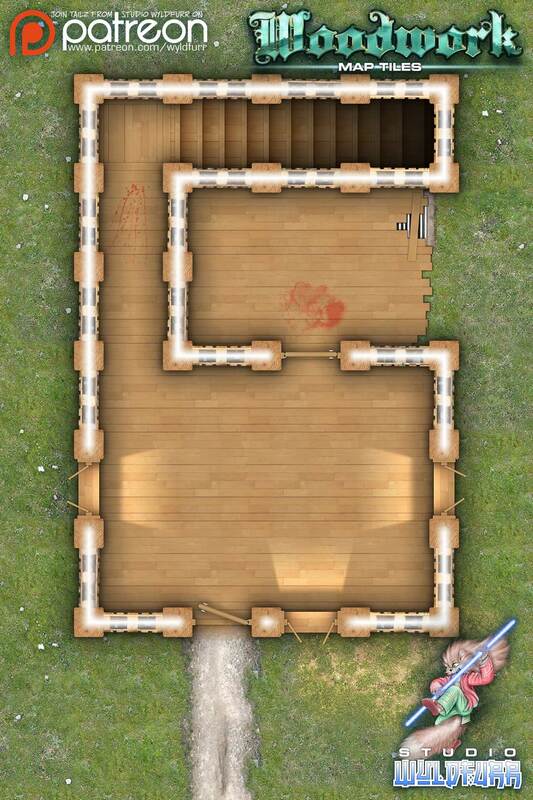 This enables far more flexibility in map building. 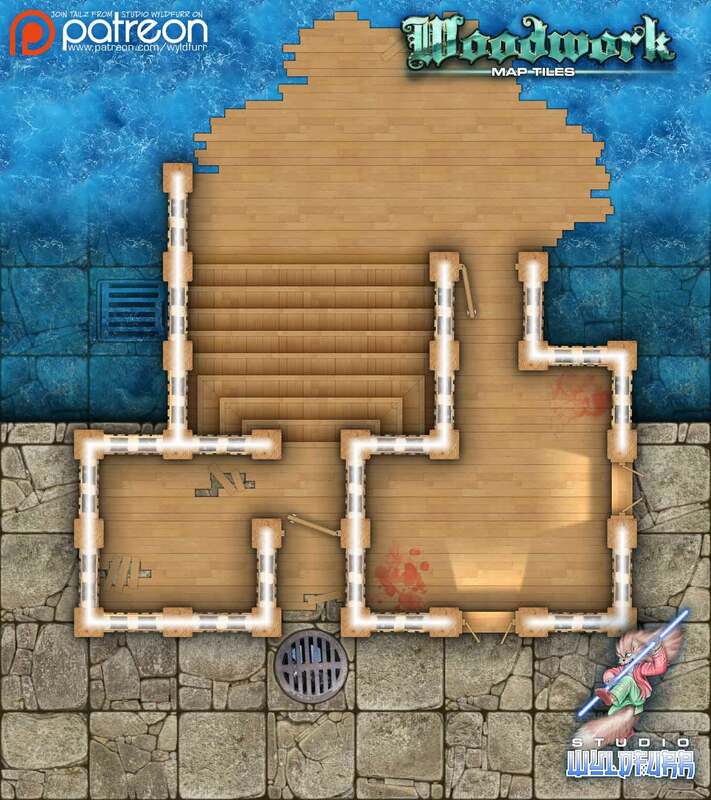 For example you could create a map using the floor tiles from Dungeon Map Tiles IV and the Wall tiles from this pack for a totally different look! 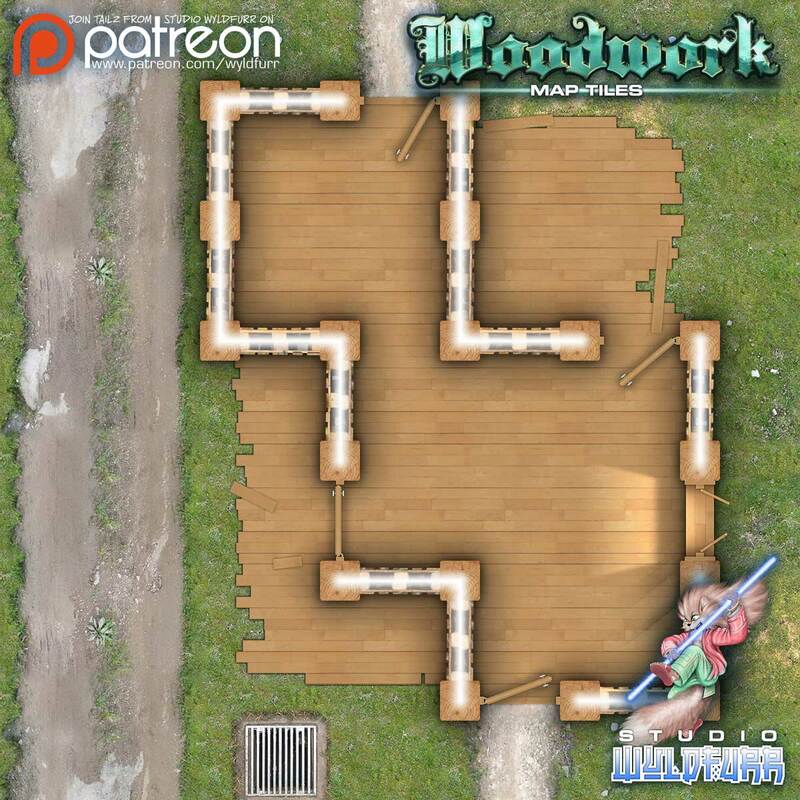 Grab the Woodwork Map Tiles package and expand your map building tool kit, available from RPGnow.com.